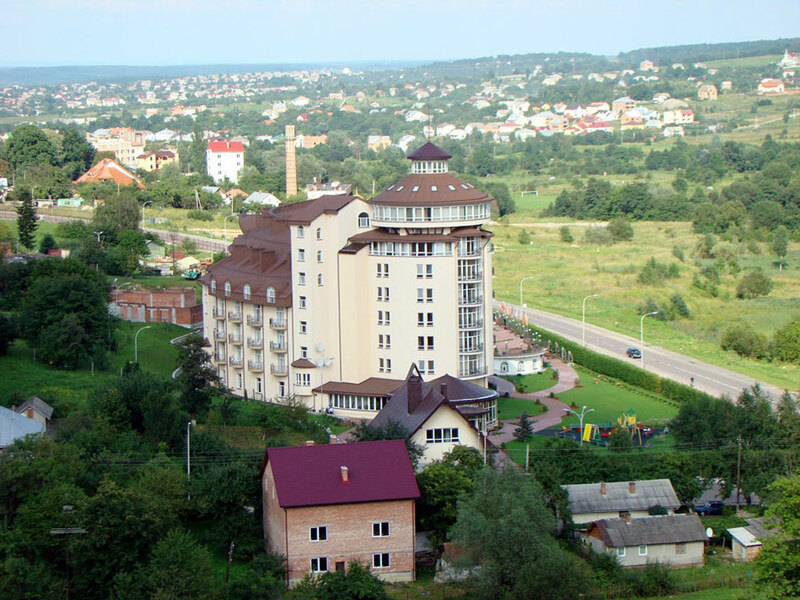 Truskavets (Truskavec) is a spa resort town located in Lviv region, Ukraine. 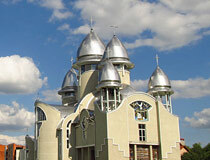 It is situated about 100 km south of Lviv and 9 km south of Drohobych. There is a train running from Kiev, the capital of Ukraine, to Truskavets. Also, several trains and buses are running between the town and Lviv. Area code - +380 3247; postal codes - 82200-82299. Local time in Truskavets city is April 21, 9:35 pm (+2 UTC). 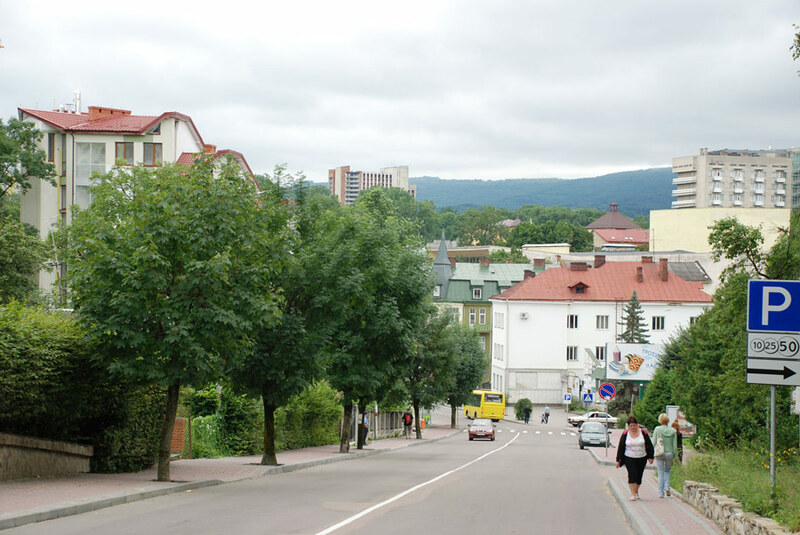 29 August, 2016 / Let's take a walk through the streets of Truskavets. 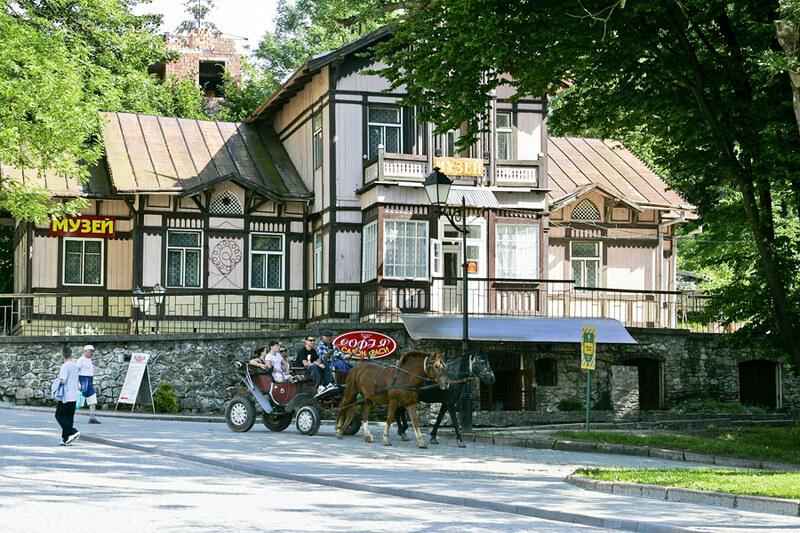 The town is located in the foothills of the Ukrainian Carpathians, at an altitude of 400 meters, on the slopes of the mountains with mixed forests, i.e. spruce, oak, beech, fir, etc. 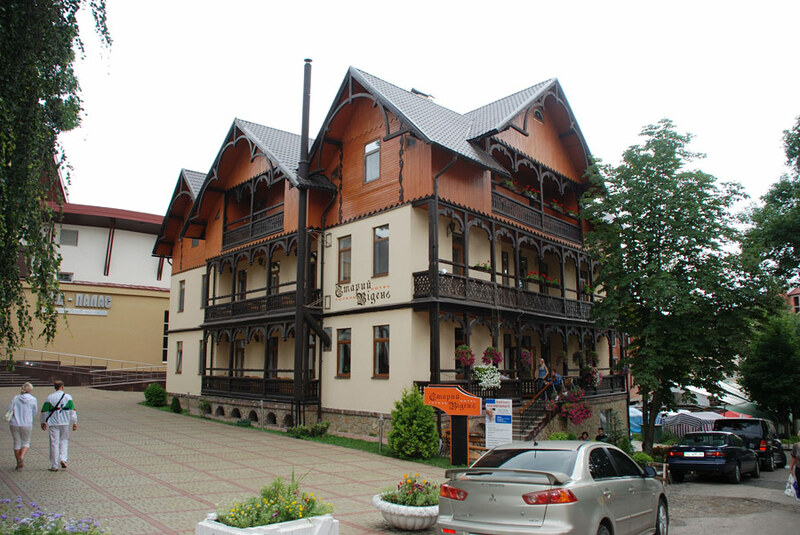 Since the 19th century, Truskavets is known for its mineral springs and numerous rehabilitation centers. 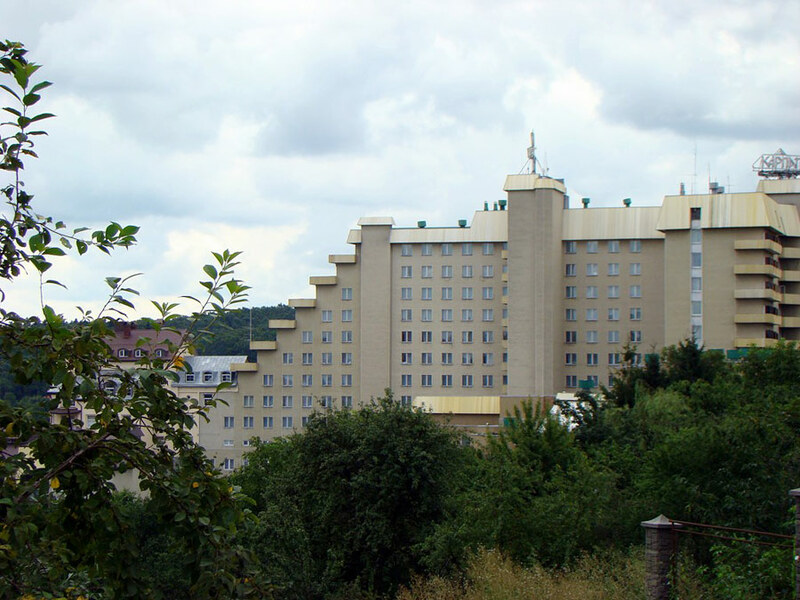 It has two mineral water well-rooms, two spa clinics, two resort polyclinics, 20 health centers (sanatoriums), 21 boarding houses and hotels. 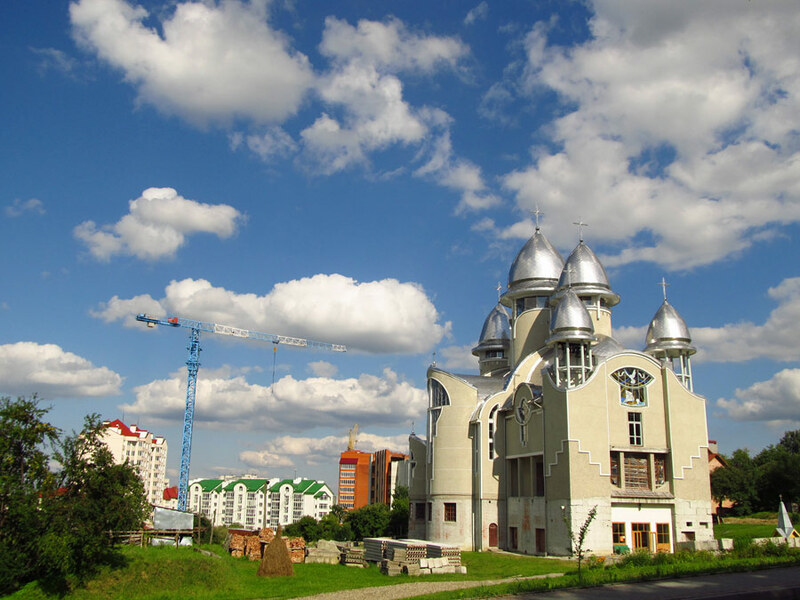 Truskavets territory is a comfortable and environmentally clean area. The city has a surprising variety of mineral waters. Every month, about 13,000 people relax here. 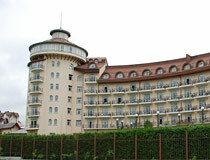 It is a unique, one of the most ancient spa resorts in Europe. Local sanatoriums offer unique methods of prevention and treatment of many diseases. Hospitable sanatoriums and hotels are waiting for you. You can greatly improve and enhance your health. Spring and autumn seasons are characterized by cool air. These two seasons are the most favorable for treatment of patients who are obese, who can’t stand the heat, with neurological and heart problems, as well as those who require special attention, who don’t like summer noise. Summer season is favorable for people with abnormal throat and lungs, for anemic patients who are sensitive to temperature fluctuations. Summer is recommended for patients with arthritis, gout. Winter season is first of all the meeting of the New Year and Christmas holidays. The climate in the area is temperate continental (warm and moderately humid climate). The average temperature in January is 6.0 degrees Celsius below zero, in July - 18.5-20 degrees C above zero. Precipitation is about 700 mm per year, maximum rainfall occurs in the summer. The number of sunshine hours is about 2,000 per year. 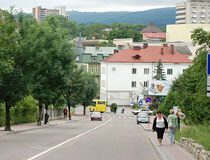 Vacationers and tourists may be interested in walking through Truskavets streets and its scenic surroundings. About 3 km to the north, you can find Pomyarki forest with a lake formed in the remains of mineral wax developments. It is a popular bathing spot, there are mineral springs near the lake. 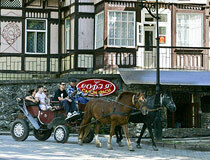 About 1.5 km to the north-west of the resort, in the Lipki tract, there are mineral springs, the water is used for baths. Truskavets has a water reservoir with a beach and boat station. The Resort Park. 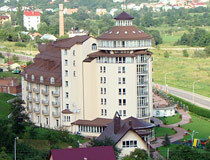 The center of the resort area is the Central mineral water pump room. Several walkways start here. They run through the hilly park where you can find three more sources of healing water. Torosevich Boulevard. 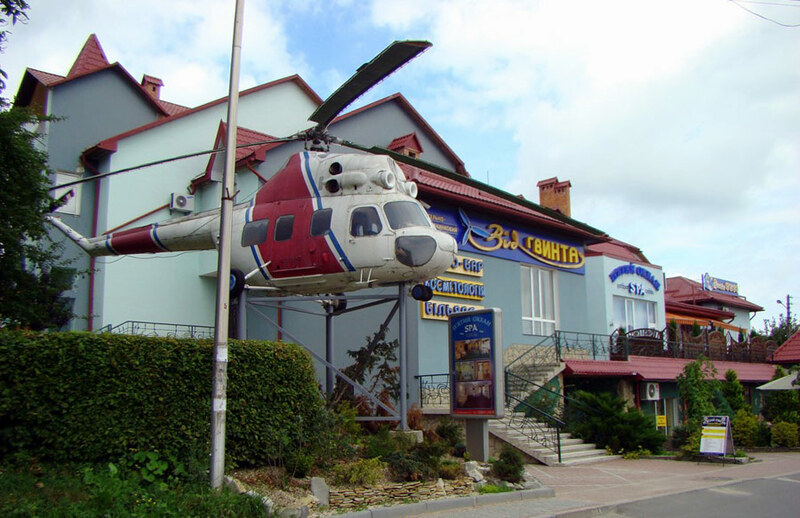 The Museum of Bilas. 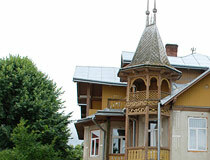 This art museum, dedicated to the works of the outstanding master of applied art M. Bilas, was established in 1992. 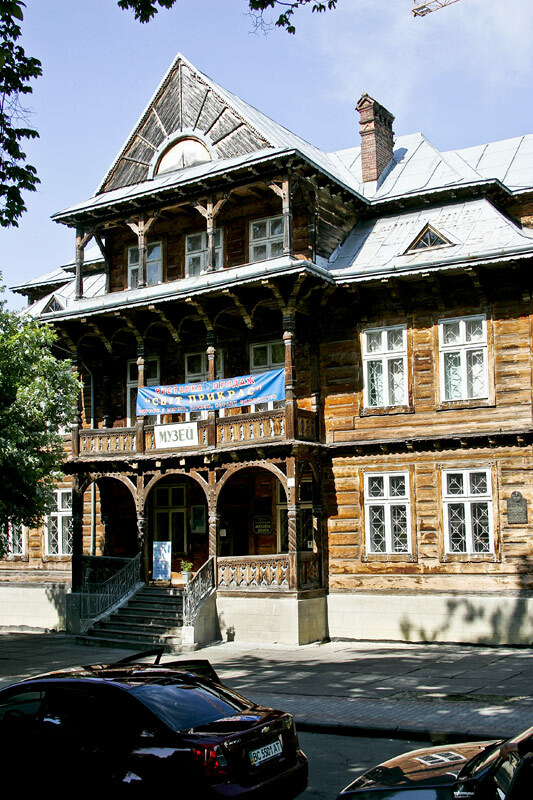 The museum occupies an elegant wooden villa “Goplyana” (1928), built in the Polish folk style Zakopane. The exhibition presents unique original carpets, wall hangings, bedspreads, made in the modern style with bright folk motifs. Bandera Street, 3. Opening hours: 10:00-18:00, day off - Monday. 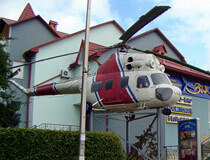 The Museum of Truskavets Resort. 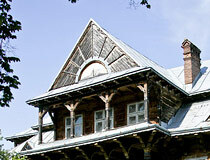 The museum is located in the center of the resort in “Sariush” villa, the monument of architecture of the early 20th century. The exhibits of the museum give an idea about the history of the region from ancient times to the present day. Sich Streltsov Square, 14. Opening hours: 10:00-18:00, day off - Saturday. 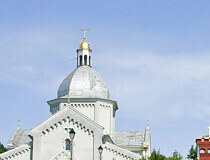 St. Nicholas Church. 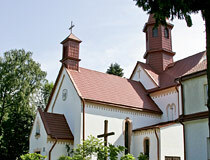 The church was built in 1861-1886 on the site of an ancient temple, known since 1515. The bell tower, built in 1920, is located nearby. On the square in front of the church, you can see the sculpture “Jesus and the Samaritan woman”, the monument to metropolitan A. Sheptytsky, the monument to the fighters for the freedom of Ukraine. 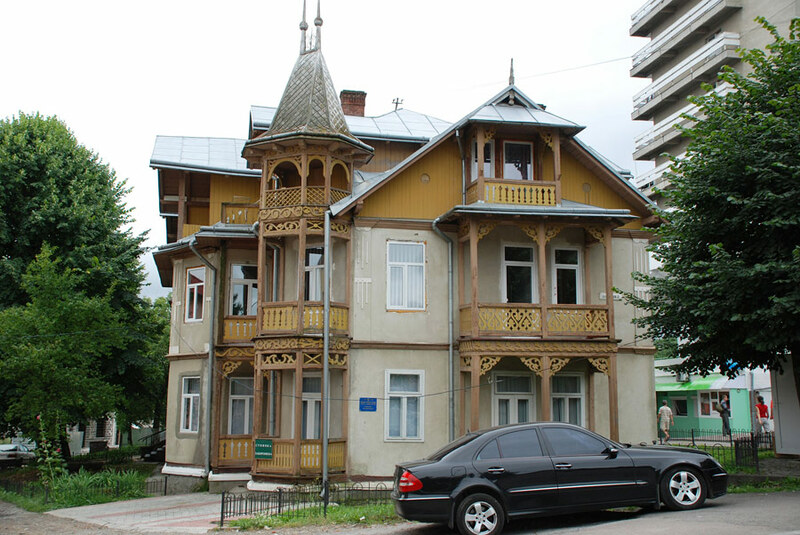 Stebnitskaya Street, 2. 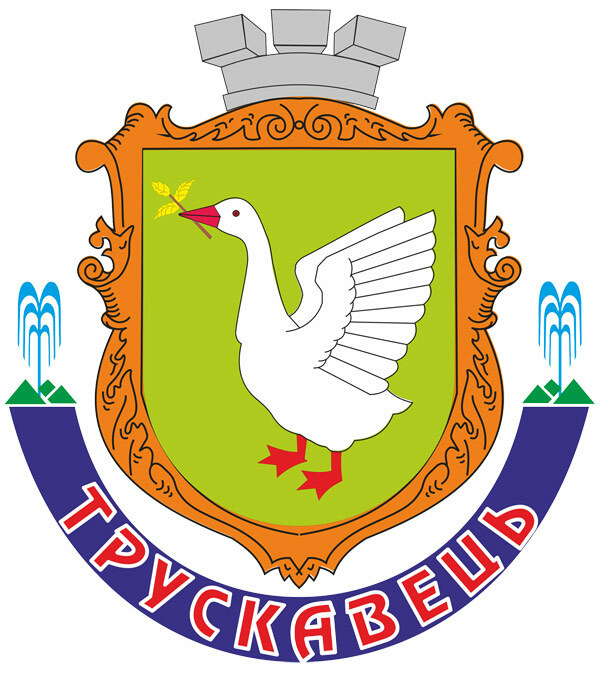 The first written mention of Truskavets refers to 1469. 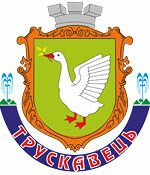 The origin of the name “Truskavets” is not known. Some believe that it is a modified form of the Polish word “truskawka” - strawberry. 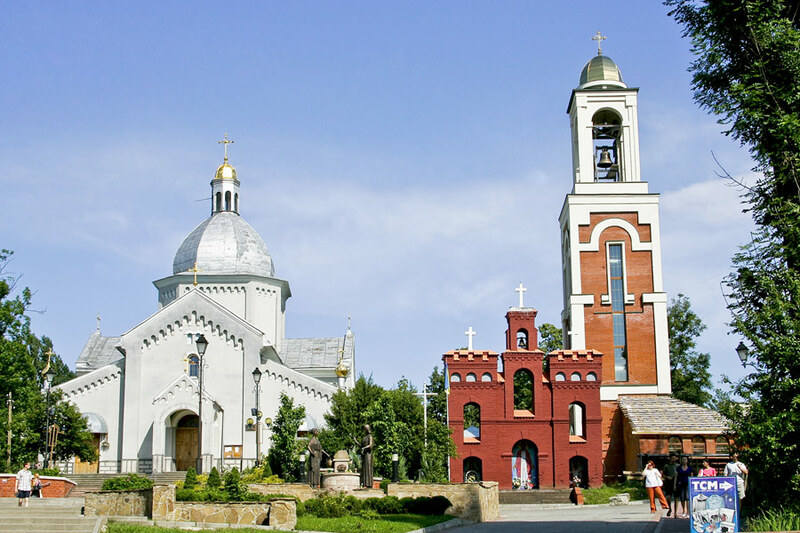 Others think that the name of the town was affected by the Lithuanian language. 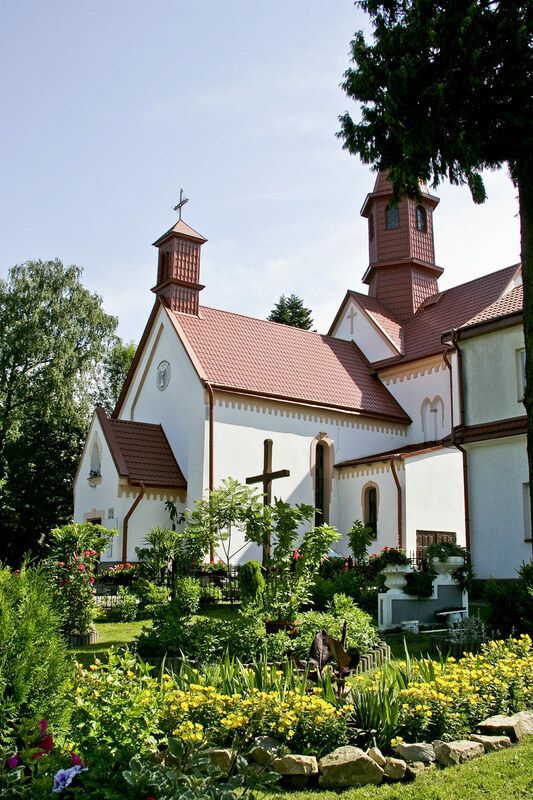 Lithuanian “druska” means “salt” and the Carpathian region is known as the center of salt production. According to the third version, the name comes from the Slavic name Trushko or Trusko, and eventually - Truskovich, Truskavets. 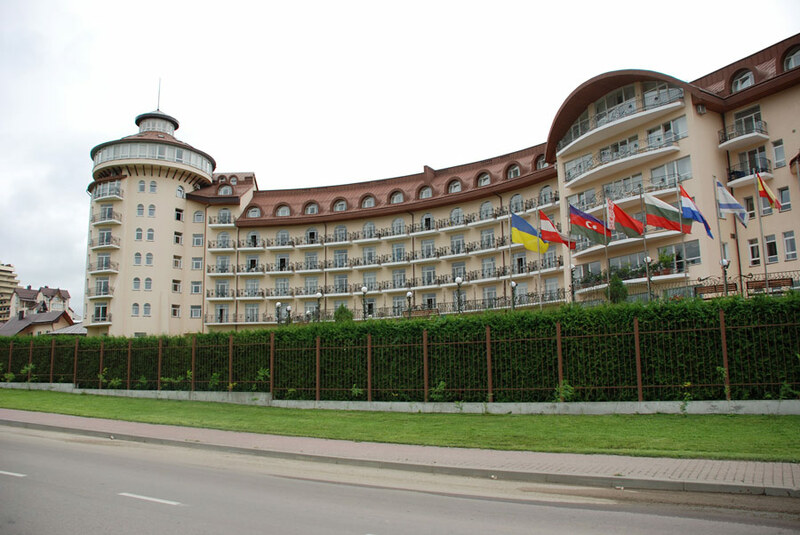 The formal date of the establishment of the spa resort is considered to be 1827. 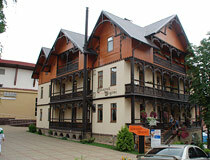 In 1892, it was the health center of European importance, a lot of hotels, villas, guest houses were built. At the beginning of the 20th century, infrastructure of the spa resort was developing quickly, a new spa clinic was built. In 1939, the area became the part of the Ukrainian SSR. The resort was significantly damaged during the Second World War. However, in 1945, several sanatoriums were opened here. 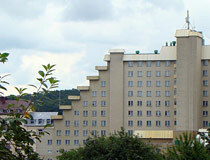 Over time, the city was granted the status of the Soviet all-union resort.